34 years ago I met a woman who made 4 loaves of bread each week and never made cake from a box! All her food was made from scratch. We were both nursing moms with baby boys about the same age, served in the same church and we became friends! A lot of time has passed . . . We moved from Michigan to Arizona 31 years ago. A couple of years ago we reconnected with Kathy and her husband Ken via Facebook, but Kathy was never forgotten. 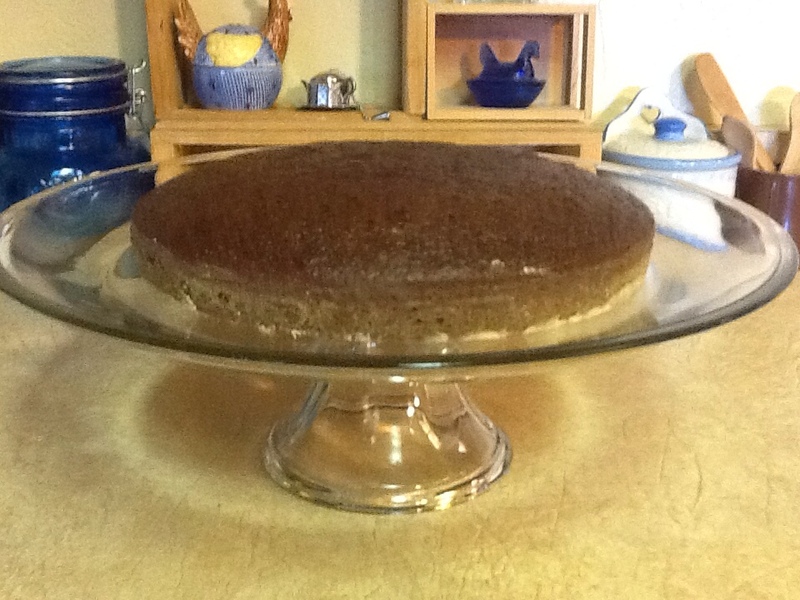 Each time I made her Rich Dark Cake or Refrigerator Bran Muffins it brought back memories of the positive impact she had on my life as a young wife and mother. It was because of her that I made my own baby foods instead of store bought. Because of her my pizza became homemade, with a real yeast crust instead of out of a Chef Boyardee Pizza box! Thank you Kathy for pointing me in the right direction. Thank you for making me rethink how I cooked for my family. I am forever in your debt! 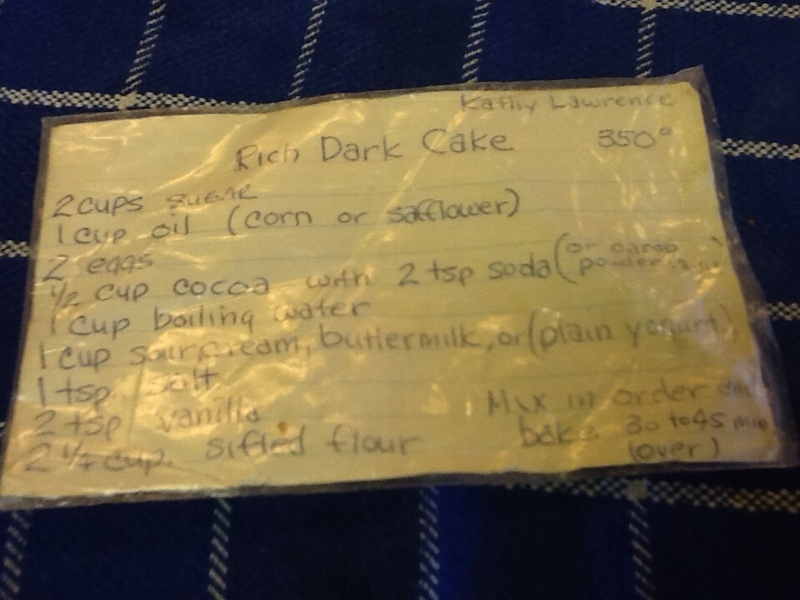 The original recipe card Kathy wrote out for me 34 years ago! As you can see, this recipe card is a little crumpled from lots of use but that doesn't change the quality of this great recipe written out for me by a great friend! 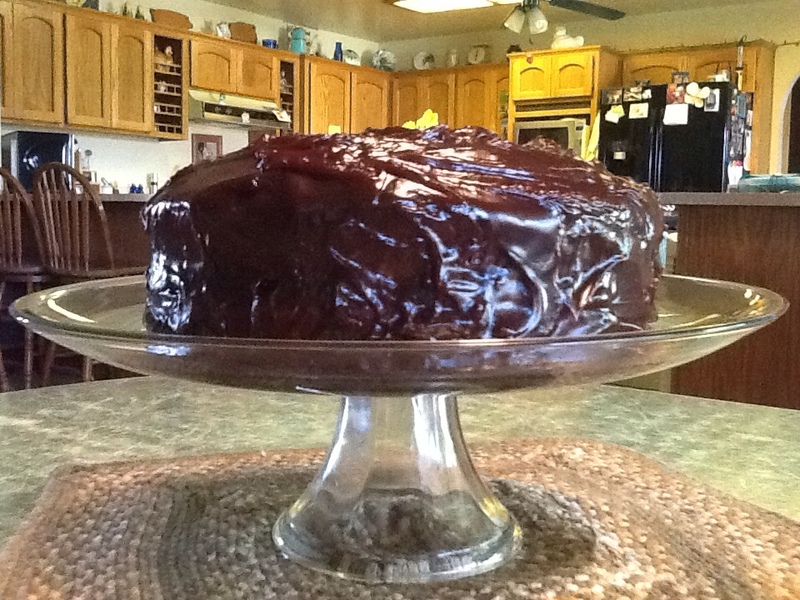 I've used this cake recipe for many specialty birthday cakes . . . It's been a cow head for our grandson's 1st birthday, a John Deere theme cake for his 2nd, a princess cake for our granddaughter's 3rd birthday, a monkey cake for our son's 3rd birthday and a birthday cake for Will's 61st birthday! At many, many wonderful celebrations this cake has made its appearance. 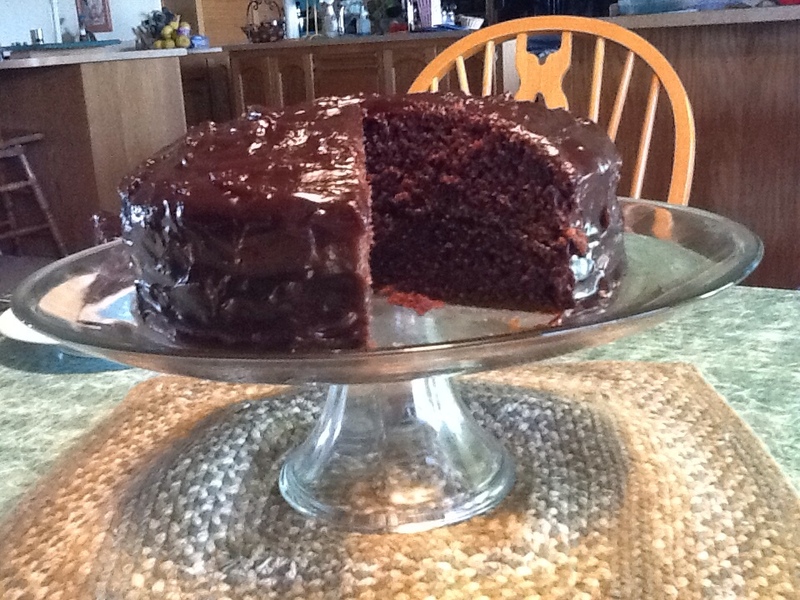 This cake makes a great snacking cake too when you're craving a moist, rich chocolate cake! 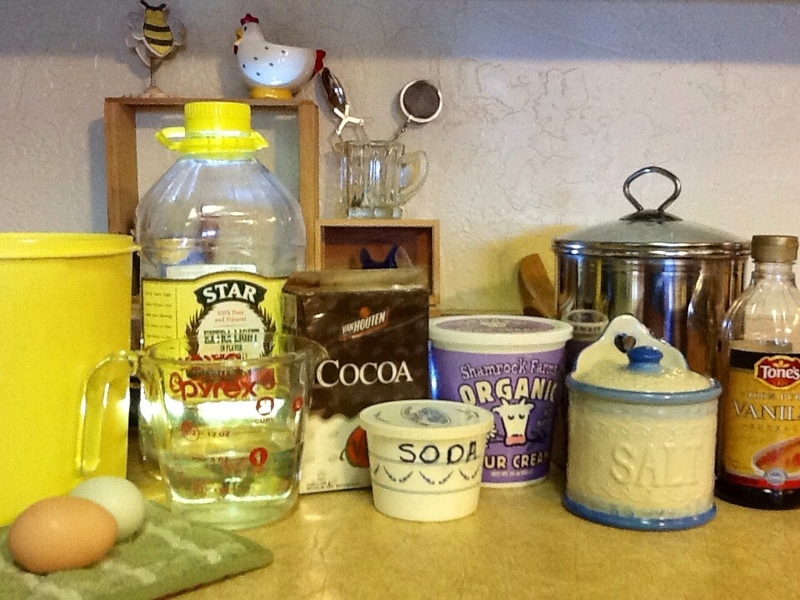 If you have never made a "from scratch" cake, this is a good place to begin. You won't find an easier cake or frosting to make, or a tastier one! Prepare cake pans, butter and flour. 1 cup oil (I use light olive oil). 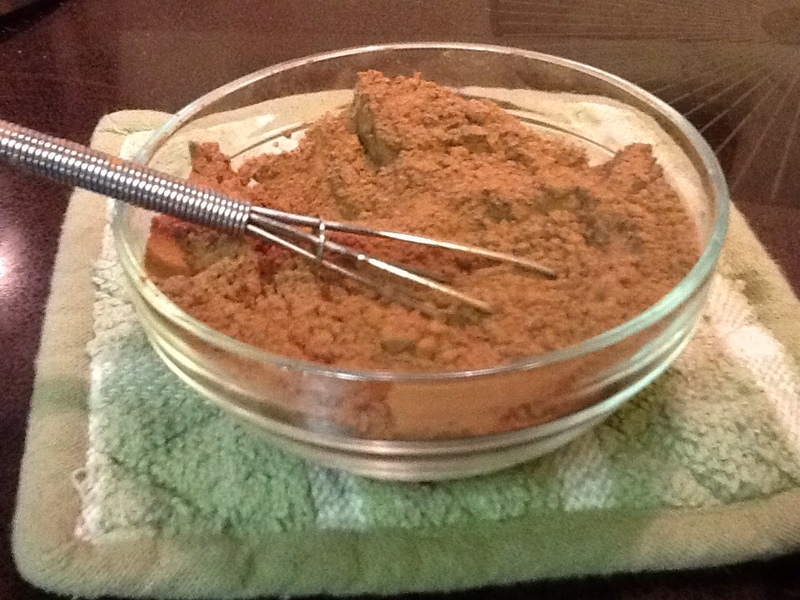 2 1/4 cup all-purpose flour, sifted (I use unbleached). 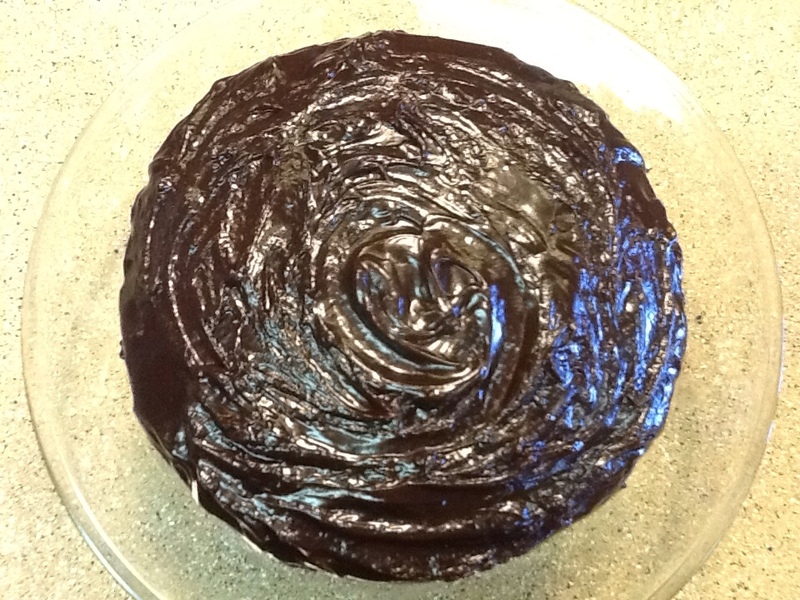 Assemble all ingredients for Rich Dark Cake. 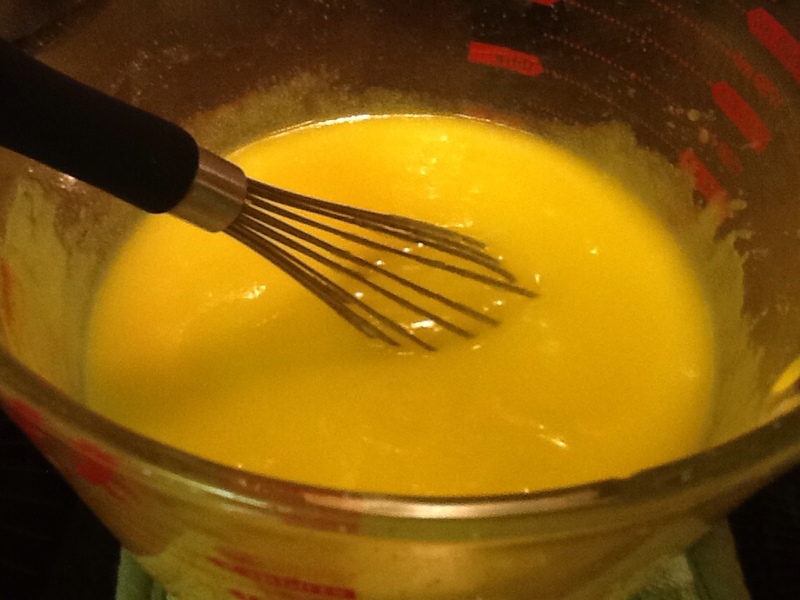 To large mixing bowl add sugar, oil and eggs and whisk together. 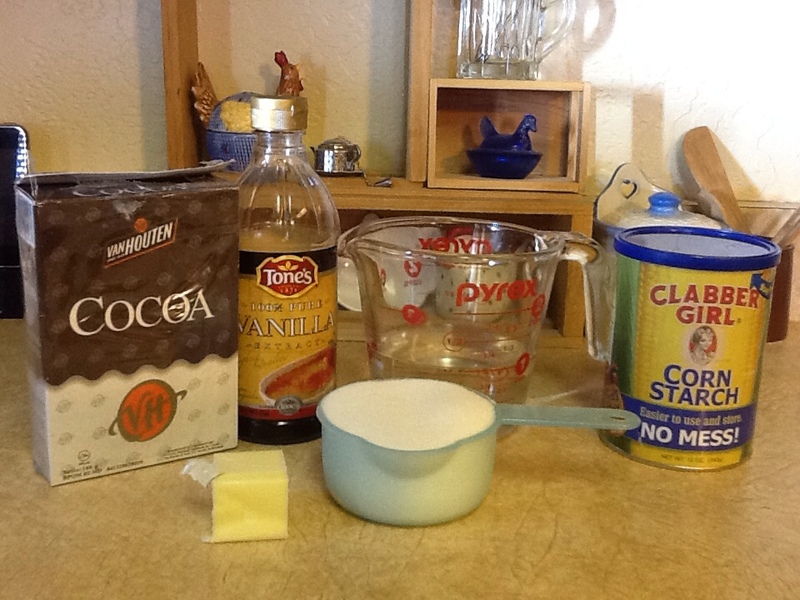 Whisk together cocoa and baking soda, add to sugar mixture and mix well. 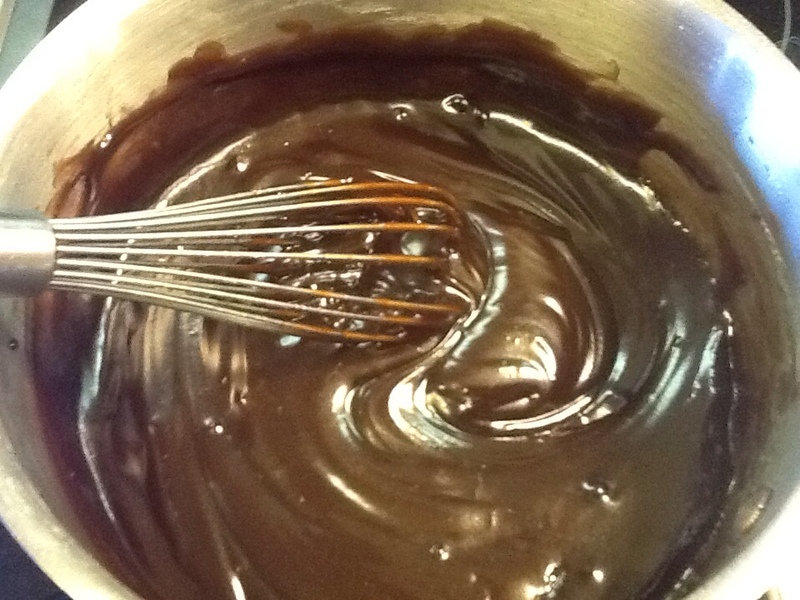 Add 1 cup of boiling water and whisk well. Add 1 cup sour cream, buttermilk or plain yogurt, 1 teaspoon salt and 1 teaspoon vanilla, mix well. Sift flour. I use a metal sieve and the back of a large spoon to push the flour through. Bake 30-45 minutes depending on which pans you use. My 9-inch cakes took 35 minutes. 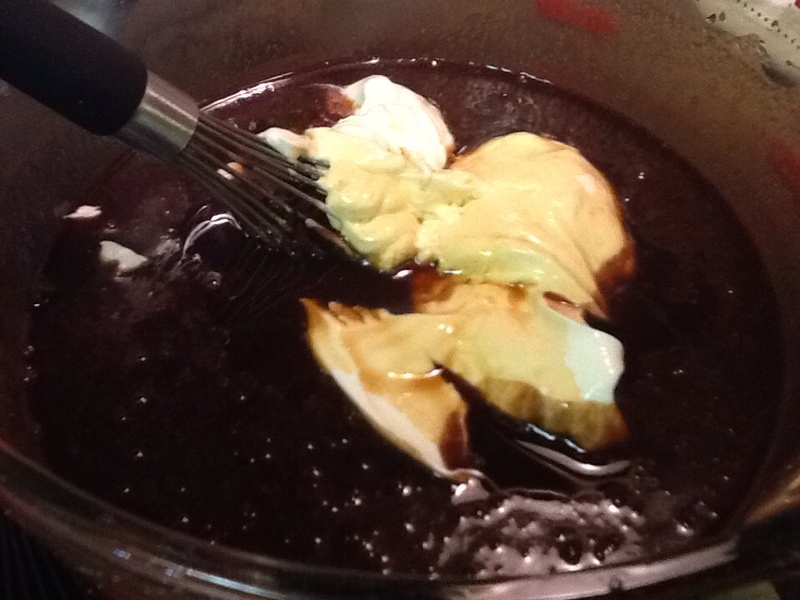 While cake is baking prepare frosting. 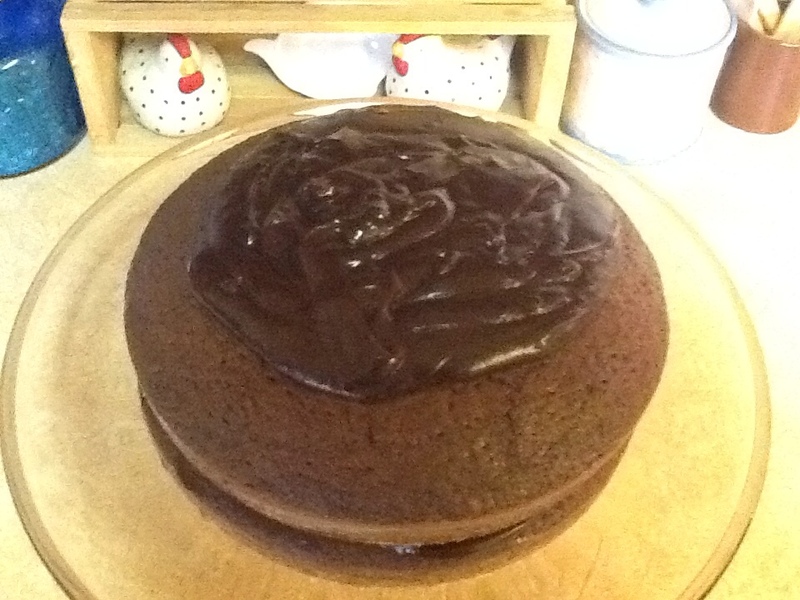 Cool cake in pan/pans on wire rack 10 minutes. 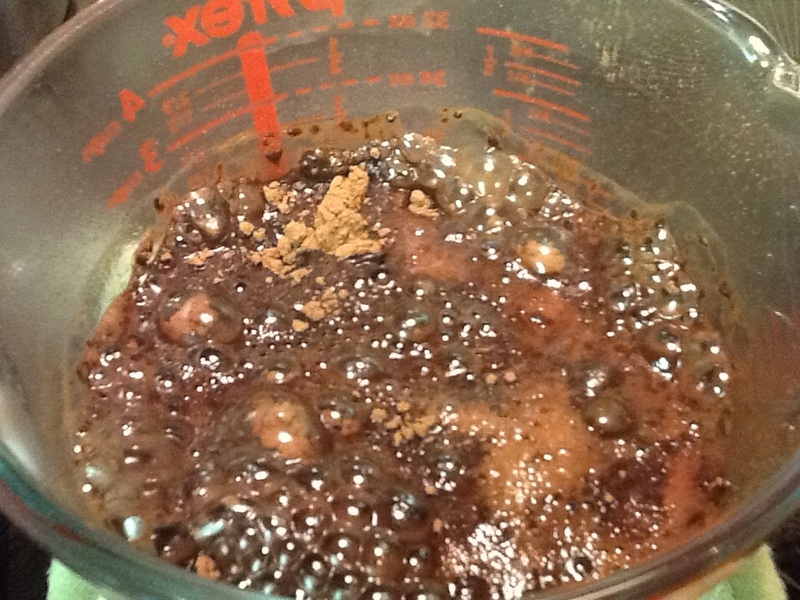 In a medium sauce pan add 1 cup sugar, 3 level tablespoons of corn starch, 2 tablespoons cocoa. 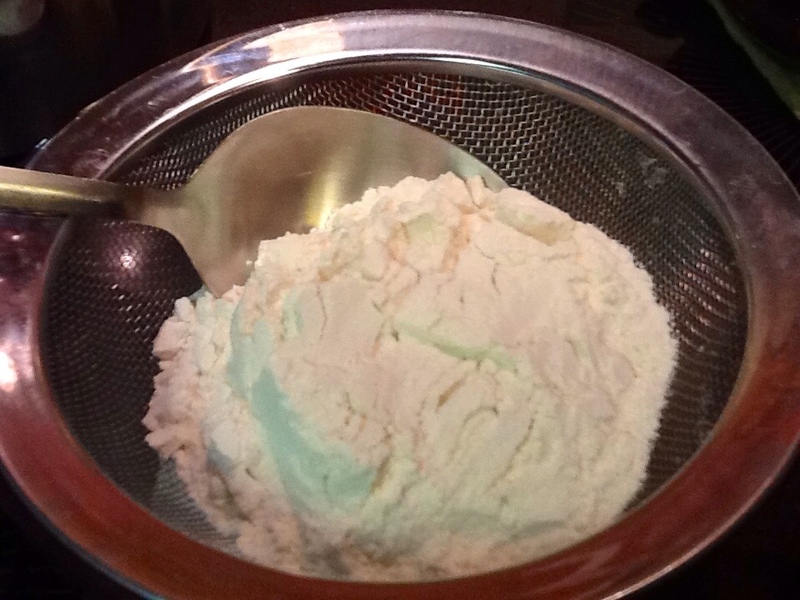 Whisk together until thoroughly mixed and lumps are gone. Add 1 cup boiling water, stir. Cook on medium heat until thickened like pudding. Remove cakes from pan. 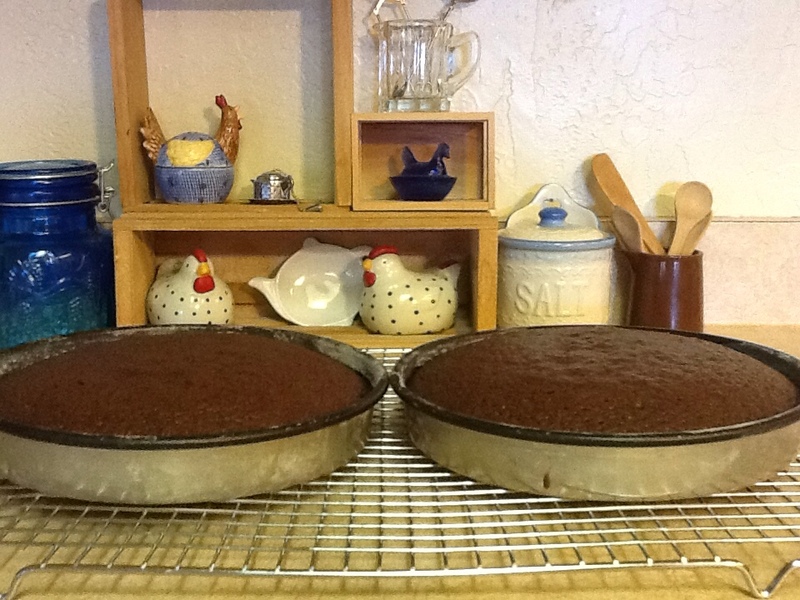 If you are making a 9 x13-inch, cake can remain in pan and frost while both are still hot. 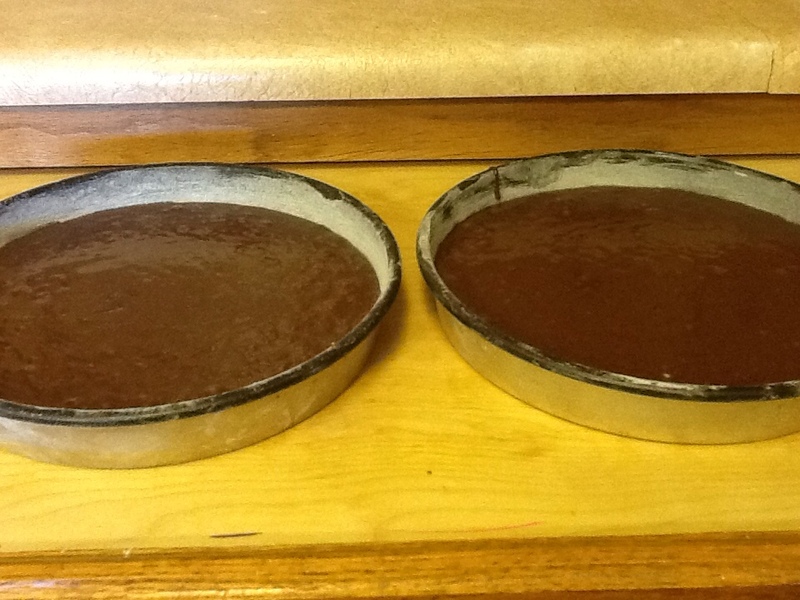 Let the cakes cool for 10 minutes (they need to be very warm), run a knife around the pan to loosen cake. Turn the pan upside down while holding the cake with outspread hand. Give the pan a shake to dislodge the cake from the pan . . . And voila! First layer ready for hot pudding! Spread hot pudding on first layer while cake is very warm. Add top layer and apply the rest of the hot pudding. Push pudding to the edges of the cake so it runs down. Clean plate with a damp paper towel. 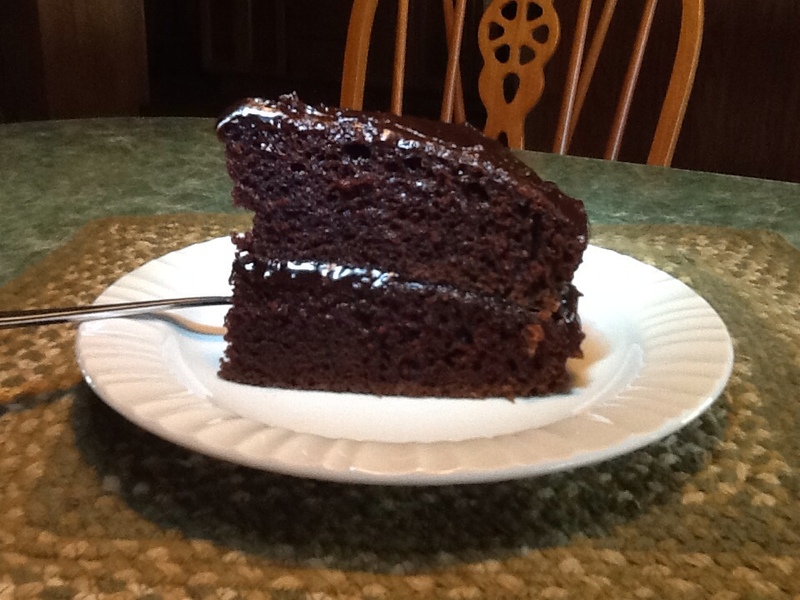 Rich, moist, dense, chocolatey, gooey, yumminess! 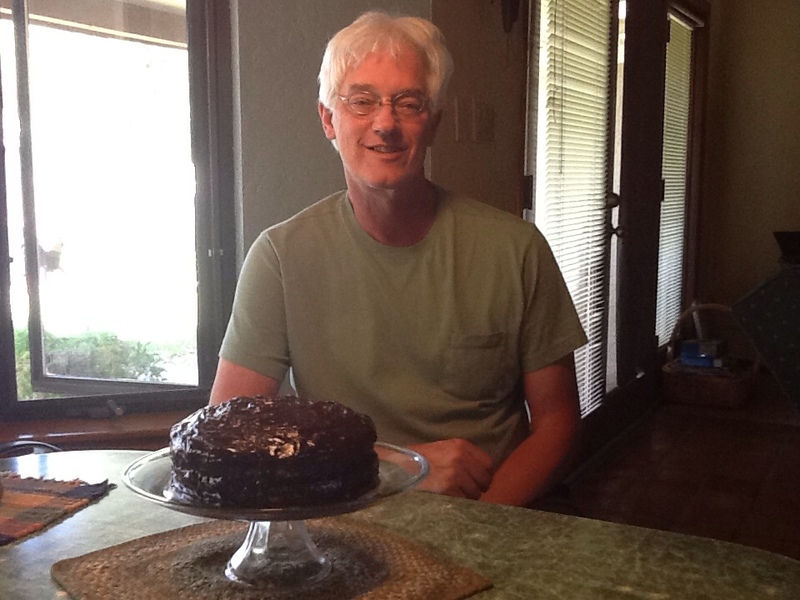 One Happy Birthday, one happy, cake loving husband . . . Over at Julie's!!! P.S. This cake tastes best cold! Cold makes the the pudding taste incredible! Oh, and if you're a milk drinker, this is the cake to drink that cup of ice cold milk with! We had so many good times together . . . Most around a table filled with great food! What happened to our babies? Those were precious times we shared sitting talking, nursing our sweet babes. I still remember the day I was in your beautiful little Avion trailer, and "Baby Kevvy" woke up raiding the frig. saying, " pickles, beans . . .in his deep baby voice!